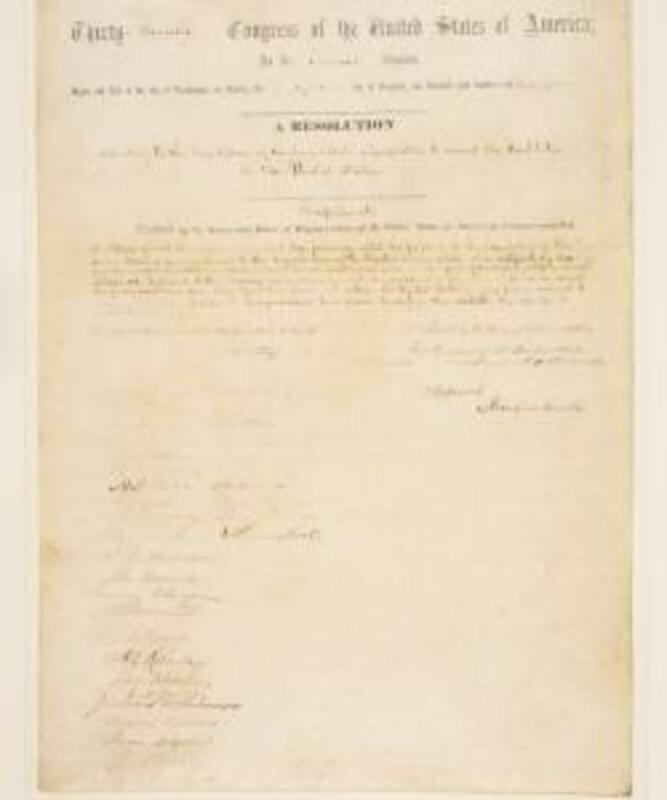 The Emancipation Proclamation and the 13th Amendment, both signed by Abraham Lincoln, are the most significant among an impressive array of historic documents going up for auction this week. 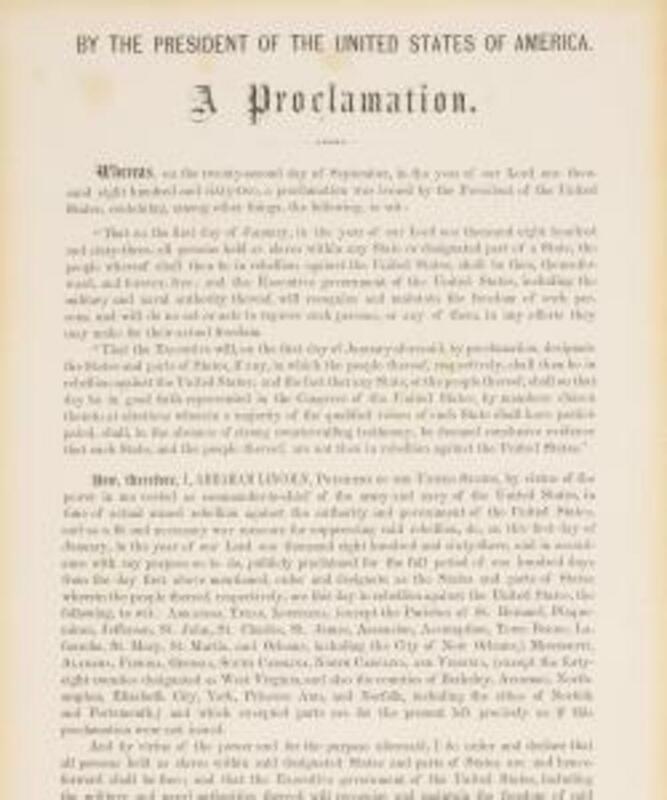 The “authorized edition” of the Emancipation Proclamation that will go up for auction at Sotheby’s on May 25 was part of a special edition printed in 1864 to benefit the Great Central Fair for the U.S. Sanitary Commission. 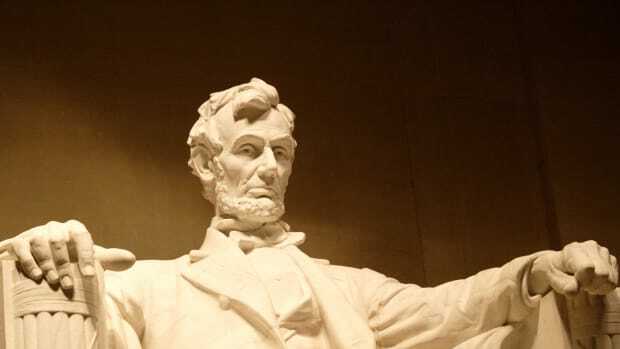 Lincoln was a great supporter of the commission, which was set up in 1861 to provide aid for sick and wounded Union soldiers and their families–a kind of a forerunner to today’s Red Cross–and almost entirely funded by private contributions. Its most important source of funds was a series of fairs in major cities, where donated goods were sold to benefit the commission. Lincoln liked to donate autographs to the fairs, and had even donated his original signed draft of the Emancipation Proclamation to a fair held in Chicago in the fall of 1863. 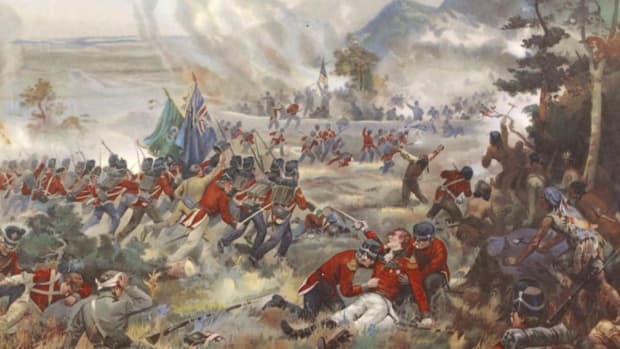 (The buyer gave it to the Chicago Soldiers’ Home, and it was later lost in the Great Chicago Fire.) For the Great Central Fair, held in Philadelphia in June 1864, local Unionists decided to print a limited edition of Lincoln’s proclamation, signed by the “Great Emancipator” himself (along with Secretary of State William Seward and Lincoln’s personal secretary, John G. Nicolay). 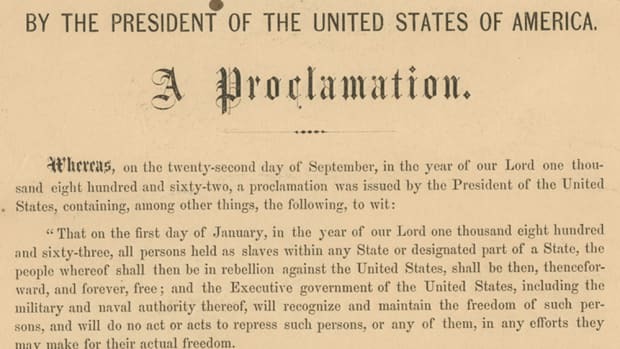 The resulting broadside is the only printing of the full text of the Emancipation Proclamation to bear Lincoln’s signature. Twenty-seven copies are known to survive, with 19 in museums or other institutions. 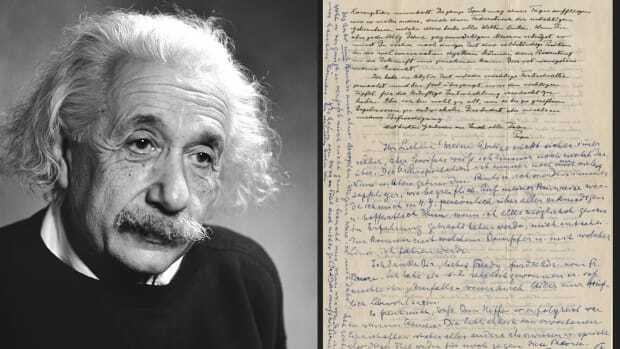 Sotheby’s estimates the historic document could bring in between $1.5 million and $2 million. Also at the center of Sotheby’s “Two Centuries of American History” sale is a rare manuscript copy of the 13th Amendment that Lincoln signed and endorsed on February 1, 1865. It’s the best of three so-called “Senate” copies of the amendment; some 36 U.S. senators signed the document at the same time as the president, along with Vice President Hannibal Hamlin and Speaker of the House Schuyler Colfax. 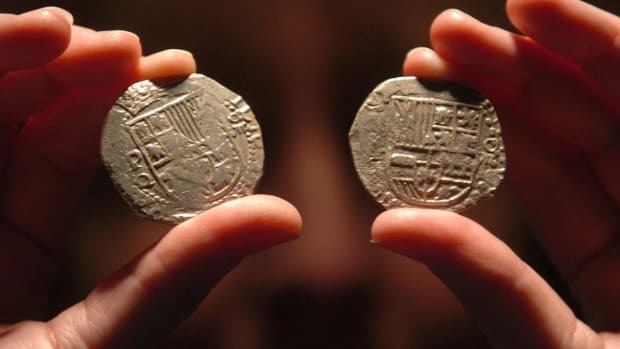 According to Sotheby’s, the document is expected to go for some $2 million to $3 million in the auction. Tragically, Lincoln would not live to see the 13th Amendment’s passage. By the time he was assassinated on April 14, the amendment still awaited ratification by six more state legislatures in order to officially be considered part of the Constitution. Though the upcoming auction undoubtedly focuses on Lincoln and the Civil War, the sale also includes letters and other documents ranging from colonial times to the 20th century. A document dating to September 14, 1768 protesting taxation without representation bears the famous signature of John Hancock, among others; its value is estimated at $100,000-$200,000. One of the other higher-valued documents in the auction bears a less-familiar signature–that of Thomas Lynch Jr. of South Carolina, whose autograph is second in rarity only to Button Gwinnett’s among the signers of the Declaration of Independence. Lynch was in Philadelphia in 1776 to fill in for his ailing father, Thomas Lynch Sr., who had been chosen as a delegate to the Continental Congress. The document signed by Lynch Jr. in 1775–and expected to fetch some $100,000 to $150,000 at auction–is the acceptance of funds on behalf of his father that were likely the stipend for congressional service. The younger Lynch soon fell ill himself (with a fever); he drowned three years later, while sailing with his wife to the West Indies to improve his health. His early demise helps explain the rarity of his signature today. Among the other documents on auction is a rare complete autograph transcript of “America the Beautiful” signed by its author, Katherine Lee Bates. Inspired by a hike up Pike’s Peak in Colorado, Bates first wrote the patriotic poem in 1893 but later revised it. With an estimated value of $25,000 to $40,000, the transcript due to be auctioned dates to between 1914 to 1925, when Bates was an English professor at Wellesley College. Rounding out two centuries of U.S. history is the auction’s most recent document, a draft of a letter written in February 1968 by Ronald Reagan, then governor of California. During the 1968 presidential campaign, Republican Party conservatives and some of those close to Reagan suggested he enter the race in the event of missteps by Richard Nixon’s campaign. Writing to Maytor McKinley, Reagan flatly denies his intention to run for president: “That job should seek the man.” Reagan later changed his mind and declared his candidacy just before the Republican National Convention; hough Nixon clinched the nomination, his “shadow candidacy” brought Reagan onto the national state. 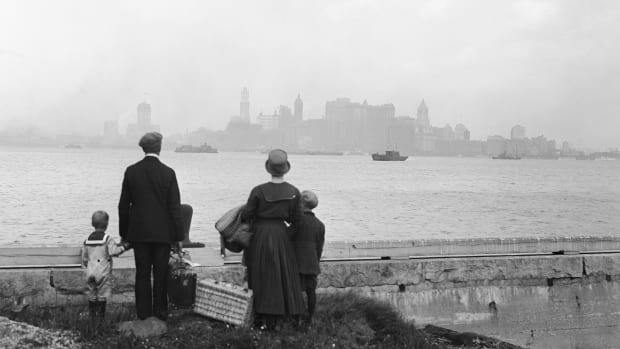 Sotheby’s estimates this piece of U.S. history will go for some $3,000 to $5,000.